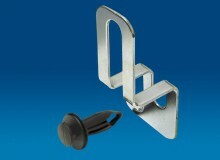 Easy-to-use, inexpensive key-lock system that secures most common Scan Hooks, and even retrofits existing hooks in-store. Install locks alone to retrofit your existing inventory of Scan Hooks, or full lock-and-hook combinations in your choice of hook and label holder styles. 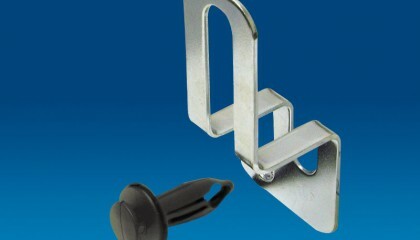 ScanLock® secures scan hooks with wire diameters ranging from 0.212″ to 0.250″ and approximately 1″ frontwire spacing. Minimal cost to implement into any plan-o-gram, unlike other solutions. 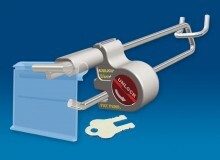 Simple swing-aside access to items; no need to remove the lock to sell product. Hooks and product stay neat and organzied. Locks cannot be mislayed or lost. Two options for security and access: ScanLock® can prevent the removal of any stock from the hook, or can display 1 or 2 items unlocked while the balance of stock is locked and held secure. Prevents mass theft and “sweeping” of items. Trouble-free design relocks without the key. 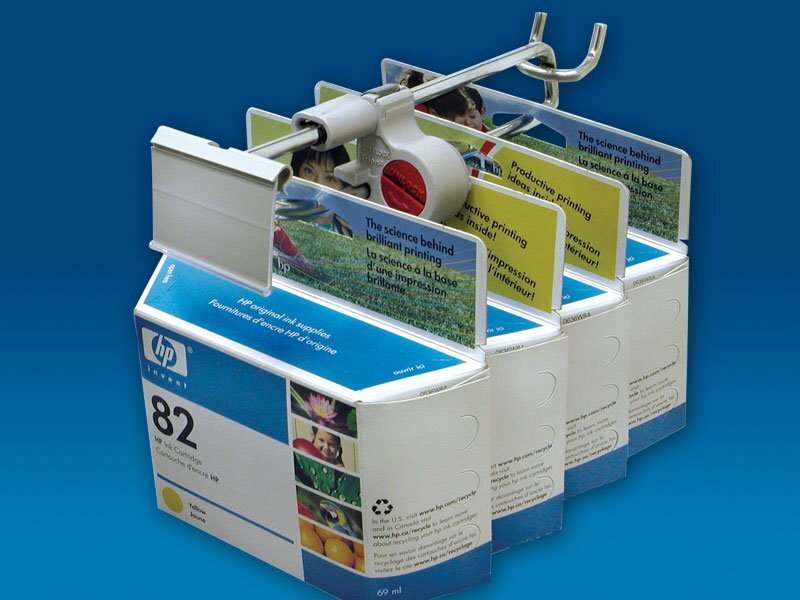 Open several hooks for hands on selling to customers, replace items and re-lock in an instant without fumbling with a key.